Users are initially given a credit of fifty messages and for every message sent the credit decreases by one and for each message received in response to a text message sent via Gmail Chat, the user's credit increases by five, up to a maximum of 50. When the SMS credit goes down to zero, one credit is added after 24 hours. Google has built in the credit limit to prevent misuse of its free SMS service for marketing/spamming. Users can also 'buy' SMS credit, when they've run out of them, by sending a text message to their own phone and then by replying to that message. People who do not wish to receive SMSs sent from Gmail Chat can block future messages from the sender by replying to the message with the word 'BLOCK' and later if they wish to continue receiving messages they can reply to the message with 'UNBLOCK'. If Gmail Chat SMS recipients in India do not wish to receive any messages on SMS from any Gmail user, they can stop the service from sending them messages by texting 'STOP' to +918082801060. To reactivate the service they can SMS 'START' to the same number. 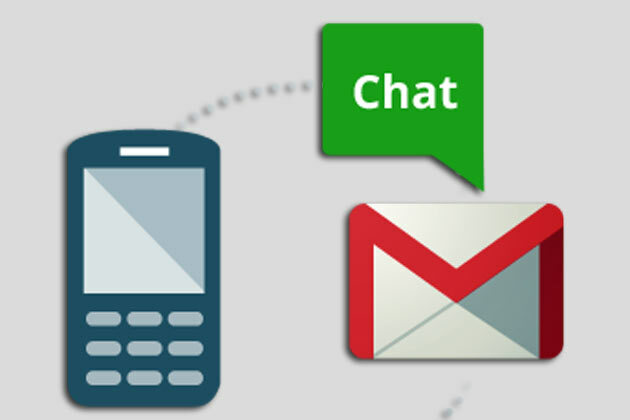 While sending SMS from Gmail Chat to phones is free, responding to Gmail SMSs from the phone may incur standard SMS charges.